Henry Chapman was born in County Cork, Ireland, in 1846, son of William E Chapman, a police officer, and Margaret, née Meaney. On 27 October 1870, at Glebe in Sydney, he married his cousin Mary Jane, daughter of Michael Chapman. They had one son and five daughters. Henry Chapman died on 20 August 1930 at Manly, NSW. His wife had died at Manly in 1914. He was a Presbyterian. Henry Chapman was living at Crown Street in 1867 and worked for JG Hanks and Co, grocers. He had his own grocery business at 66 Crown Street by 1871. In 1877, he moved to 100 William Street. In 1885, he was living at Forest House, 93 Pyrmont Bridge Road, Glebe, and by 1905 he was at 95 Hereford Street, Glebe. 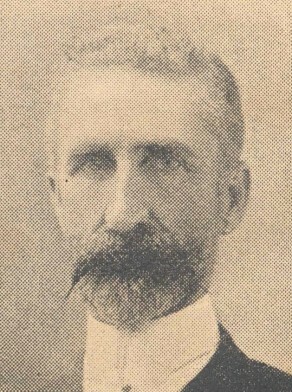 He retired in 1917. Chapman joined the 1st Field Artillery in 1870, becoming major in 1890. He was a prominent member of Glebe Presbyterian Church. Chapman was elected MLA for Sydney, Fitzroy, from 17 July 1894 to 5 July 1895, and 27 July 1898 to 11 June 1901. Henry Chapman was Alderman for Fitzroy Ward from 2 December 1889 to 6 December 1900. He was a member of the Electricity Lighting Committee, 1891-1900; the Markets Committee, 1891-94; the Street Traffic Committee, 1892-94; the Finance Committee, 1899-1900; the Garbage Disposal Committee, 1899-1900; and the Works Committee in 1899. He was the Council member at the Board of Water Supply and Sewerage between 1898 and 1902. 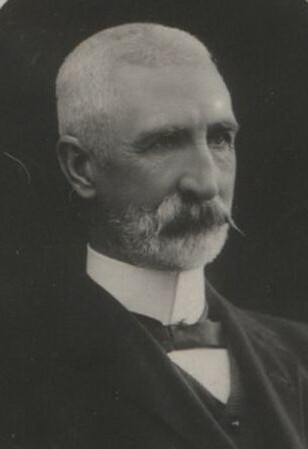 Like his uncle Michael Chapman before him, Henry Chapman was Alderman of Glebe Council from 1886 to 1890 and 1905 to 1910.